Atlas Copco Pneumatic screwdrivers » Entagear Co., Ltd. The COMBI screwdriver is a really versatile multi-purpose tool. 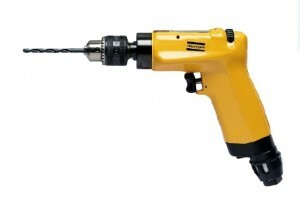 It’s a drill, tapper and screwdriver in one. 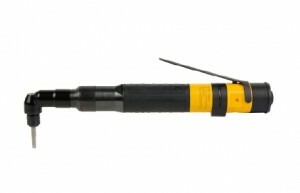 The COMBI screwdriver models do not have clutches, they are direct driven tools. This means that either you release the trigger to stop, or the torque builds up to where the motor can no longer rotate. • Model with non balanced grip can be used with high grip when feed force is needed or with low grip for minimal reaction force. The LTV009 model is the smallest pneumatic angle screwdriver in Atlas Copco range. Its angle head can reach in to all those cramped spaces where you can’t fit a pistol grip tool. This small but powerful tool will keep you up and running for a long time! An important feature of the tool is its spiral cut angle gears –they offer increased durability and accuracy due to less play. Reverse is easily set by twisting the ring situated at the back end of the tool, just under the start lever. All LTV screwdriver models are equipped with a spring-operated shut-off clutch, designed by Atlas Copco, that is set with a Philips screwdriver – simple, fast and reliable! • 1/4″ quick change chuck. 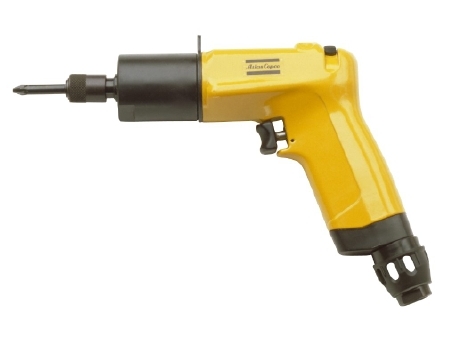 The LTV19 model is a small and lightweight pneumatic angle screwdriver that can take care of screws and bolts up to 15 Nm. Being able to reach in to all those cramped spaces where you can’t fit a pistol grip tool and at the same time do the job fast and with good accuracy is the key value of this product. This tool will keep you up and running for a long time! 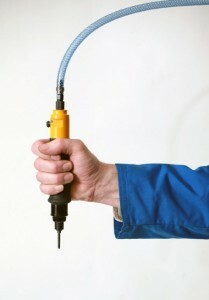 Operating the tool is easy; just set the torque and then go! Reverse is easily set by twisting the ring situated at the back end of the tool, just under the start lever. The spring-operated shut-off cltuch keeps the final torque at the right level – time after time. • Slim design of the angle head allows good access in limited spaces and awkward positions. • Spiral cut gears give high accuracy. • RE reporting conversion kit available. The LUD12 HRX is suitable for applications with self-drilling and wood screws. The grip is designed to balance the weight of the tool evenly to reduce strain on the wrist. Key internal components are manufactured in our own plant in Sweden so we can be certain each tool is up to our quality standard. The LUD screwdriver models do not have clutches, they are direct driven tools. This means that either you release the trigger to stop, or the torque builds up to where the motor can no longer rotate. The LUD22 HR is suitable for applications with self-drilling and wood screws. The handle of the HR model is designed to apply feed force more easily when needed. Key internal components are manufactured in our own plant in Sweden so we can be certain each tool is up to our quality standard. The LUD screwdriver models do not have clutches, they are direct driven tools. This means that either you release the trigger to stop, or the torque builds up to where the motor can no longer rotate. 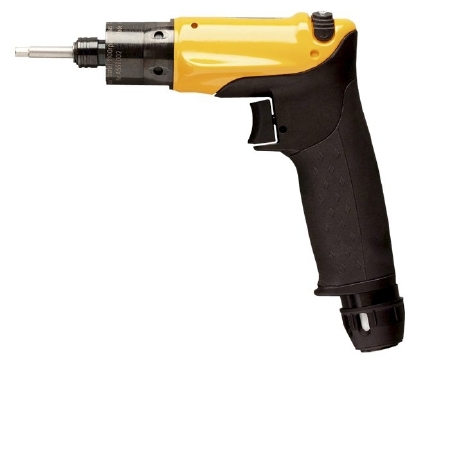 Atlas Copco pneumatic TWIST/LUF screwdrivers have a slip clutch that applies a pulsating force when the torque level is reached. These tools are suitable where the torque level may temporarily rise during the rundown phase, for instance when using sheet metal screws, wood screws or self tapping screws. 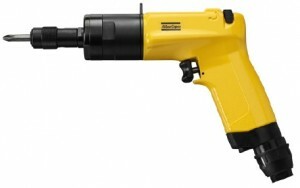 The LUF34 HRD is suitable for applications with self-drilling and wood screws. The handle of the HR model is designed to apply feed force more easily when needed. Key internal components are manufactured in our own plant in Sweden so we can be certain each tool is up to our quality standard. 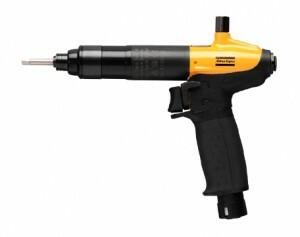 The LUF screwdriver models do not have clutches, they are direct driven tools. This means that either you release the trigger to stop, or the torque builds up to where the motor can no longer rotate. Atlas Copco pneumatic LUM screwdrivers have a fast and accurate shut-off clutch for smooth performance and high quality tightening. They are suitable for joints with demands on torque accuracy, providing accurate tightening time-after-time, independent of variations in joint stiffness. 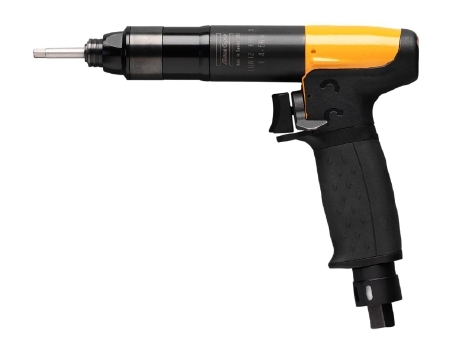 The LUM12 HRF is the workhorse of Atlas Copco’s pneumatic screwdriver line-up! This tool combines the best engineering, continuously refined and improved, to bring you superior ergonomics, durability and productivity. All key internal components are produced in Atlas Copco’s plant in Sweden, ensuring that each tool is of the highest quality and that performance will be maintained at all times. The grip is designed to balance the weight of the tool evenly to reduce strain on the wrist. Try the tool for a couple of hours and you will notice the difference. The HRF version offers multiple air inlets so you can connect the air hose either from above, on the back, or as usual from below – options that will fit your needs. All LUM models are equipped with a spring-operated shut-off clutch, designed by Atlas Copco, that is set with a Philips screwdriver – simple, fast and reliable! 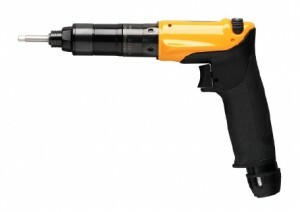 The LUM12 HRX is the workhorse of Atlas Copco pneumatic screwdriver line-up! This tool combines the best engineering, continuously refined and improved, to bring you superior ergonomics, durability and productivity. All key internal components are produced in Atlas Copco’s plant in Sweden, ensuring that each tool is of the highest quality and that performance will be maintained at all times. The grip is designed to balance the weight of the tool evenly to reduce strain on the wrist. Try the tool for a couple of hours and you will notice the difference. All LUM models are equipped with a spring-operated shut-off clutch, designed by Atlas Copco, that is set with a Philips screwdriver – simple, fast and reliable! The LUM12 PR is the workhorse of our pneumatic screwdriver line-up! This tool combines the best engineering, continuously refined and improved, to bring you great durability and productivity. 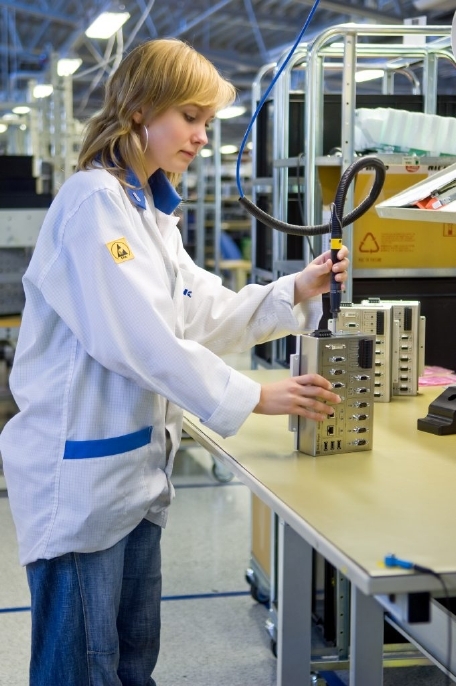 All key internal components are produced in Atlas Copco’s plant in Sweden, ensuring that each tool is of the highest quality and that performance will be maintained at all times. This is a straight tool with a push start, meaning that the tool will start when pushed lightly against the screw. To reverse the tool, a button at the top of the tool needs to be pushed in or locked in that position. As with all straight tools a torque arm is recommended to take up the reaction forces and the tool is of course prepared for such an accessory. All LUM models are equipped with a spring-operated shut-off clutch, designed by Atlas Copco, that is set with a Philips screwdriver – simple, fast and reliable! The LUM12 SR is the workhorse of our pneumatic screwdriver line-up! This tool combines the best engineering, continuously refined and improved, to bring you great durability and productivity. All key internal components are produced in Atlas Copco’s plant in Sweden, ensuring that each tool is of the highest quality and that performance will be maintained at all times. This is a straight tool with a lever start. By turning a ring you will reverse the tool. As with all straight tools a torque arm is recommended to take up the reaction forces and the tool is of course prepared for such an accessory. All LUM models are equipped with a spring-operated shut-off clutch, designed by Atlas Copco, that is set with a Philips screwdriver – simple, fast and reliable! The LUM22 HR is the big brother of the LUM12 and is designed in the same way but copes with higher torques. The handle of the HR model is designed to apply feed force more easily when needed. As with all Atlas Copco screwdrivers the key internal components are manufactured in our own plant in Sweden so we can be certain that the quality of each tool is up to our standard. That means the performance of the tool will be high at all times. All LUM models are equipped with a spring-operated shut-off clutch, designed by Atlas Copco, that is set with a Philips screwdriver – simple, fast and reliable! The LUM22 PR is the big brother of the LUM12 and is designed in the same way but copes with higher torques. This is a straight tool with push start, meaning that the tool will start when pushed lightly against the screw. To reverse the tool, a button at the top of the tool needs to be pushed in or locked in that position. As with all straight tools a torque arm is recommended to take up the reaction forces and the tool is of course prepared for such an accessory. As with all Atlas Copco screwdrivers the key internal components are manufactured in Atlas Copco’s plant in Sweden so it can be certain that the quality of each tool is up to Atlas Copco’s standard. That means the performance of the tool will be high at all times. All LUM models are equipped with a spring-operated shut-off clutch, designed by Atlas Copco, that is set with a Philips screwdriver – simple, fast and reliable!